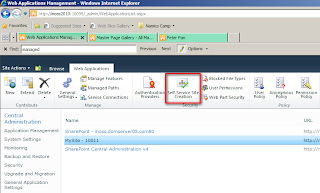 In this post I'll show you how to create and setup a mysite in SharePoint 2010. I will create a new webapplication for the mysite but you can also use an existing webapplication. Ensure yourself that the "User Profile Service" is running. The MySite needs this service to function. 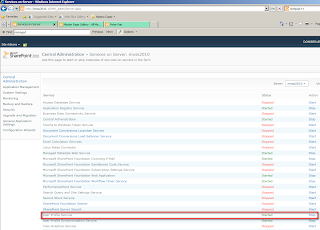 You can check the blog post "Configuring the User Profile Service" for more information. First of all if you want to host your mysite on a new webapplication create a new webapplication. Therefore go to the Central Administration -> Application Management -> Manage Web Applications. Here click on "New" in the ribbon above and create a new webapplication which will host the mysite. 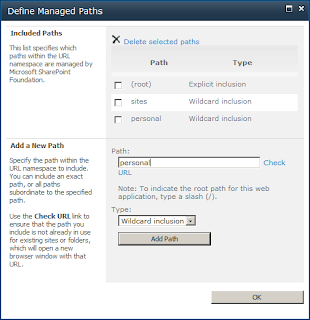 Now you have to configure a managed path, where all personal sites will be created. 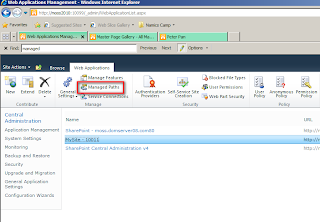 Normally we use "personal" as managed path.To create a managed path go to Central Administration -> Application Management -> Manage Web Applications , mark the webapplication by clicking on it, then click on "managed path" in the ribbon. 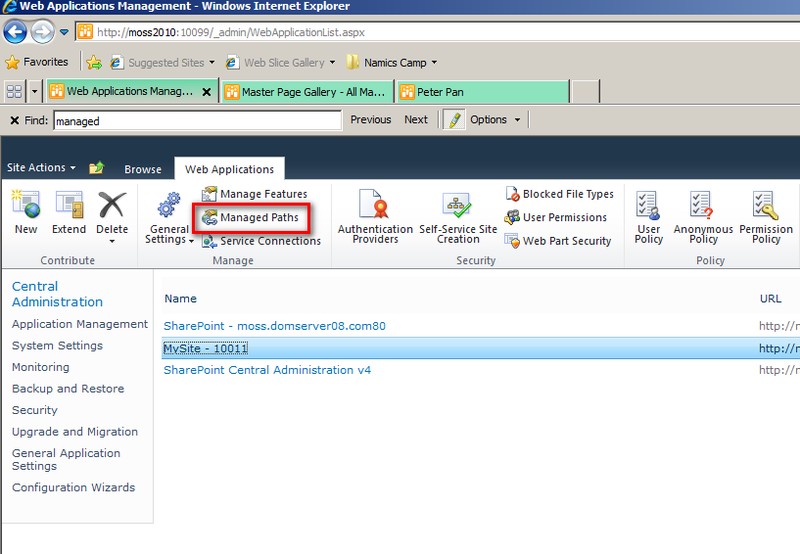 If you create your mysite on an existing webapplication you should create a secondary managed path "mysite". 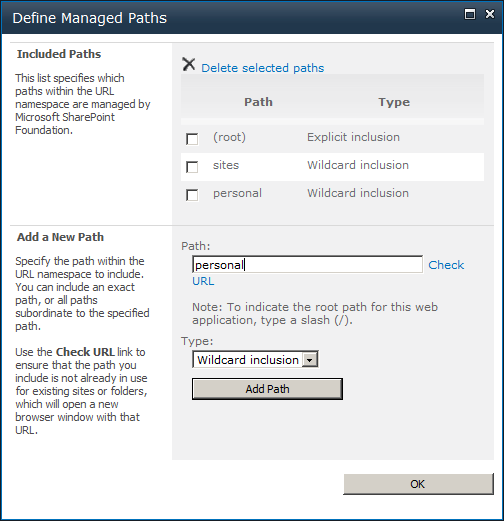 On the dialog that pops up create a managed path "personal". Select "wildcard inclusion". After all this settings are done, you should also check if the "User Profile Service" is associated with the webapplication containing the mysite. 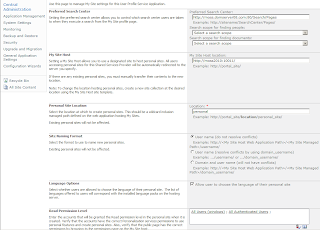 To check this go to "Central Administration -> Application Management -> Manage Web Applications", select the Mysite web application and click on "Manage Service Connections" in the Ribbon. 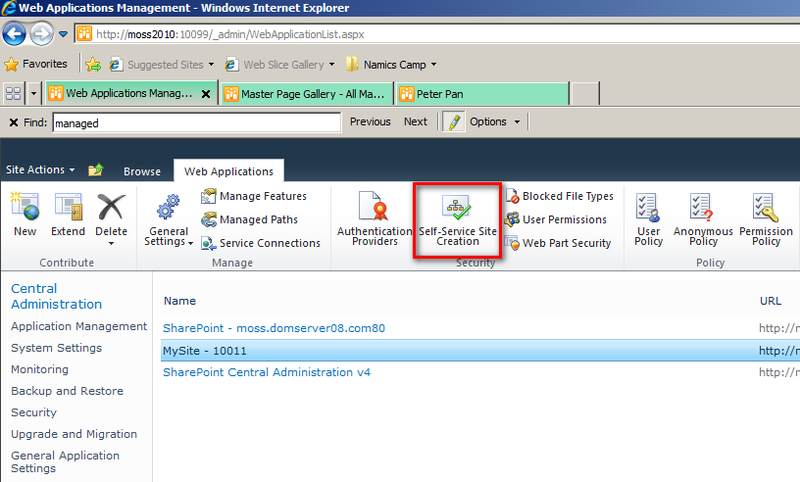 In SP2010 you don't have a Shared Service Provider, so you have to associate each service with a webapplication. 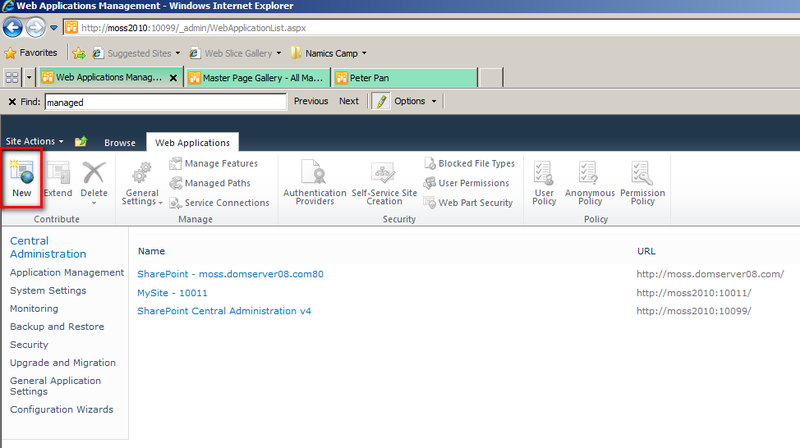 In the dialog check if the "User Profile Service Application Proxy" is checked. If not select "custom" in the dropdown and check it. When the webapplication for the mysite is ready, you have to create a new site collection with the "MySiteHost" template. 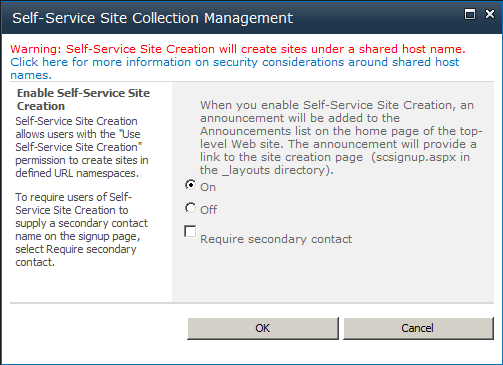 Go to "Cental Administration -> Application Management -> Create Site Collections. Ensure yourself that the Mysite webapplication is selected in the dropdown. Give the site a name like "mysite". 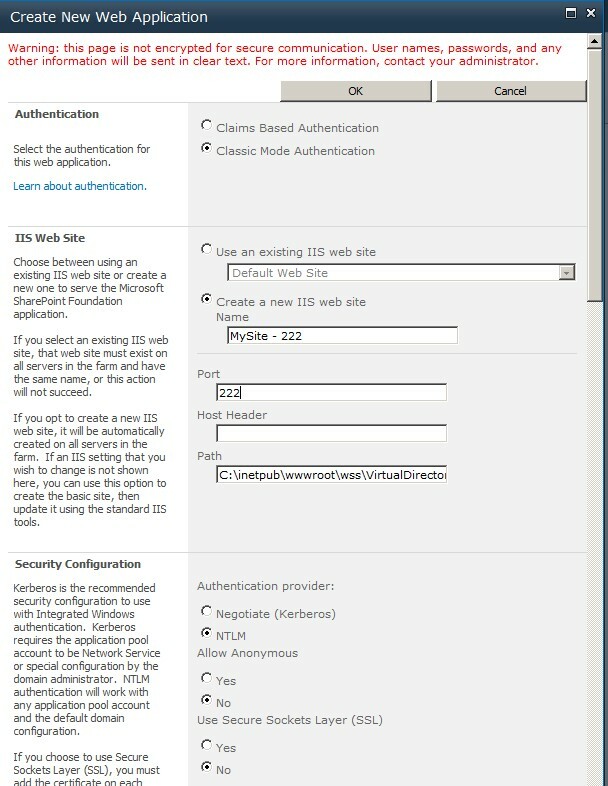 If you create the mysite on a webapplication that already contains a site collection, you should create the mysite on the manage path "mysite", othewise leave it blank. 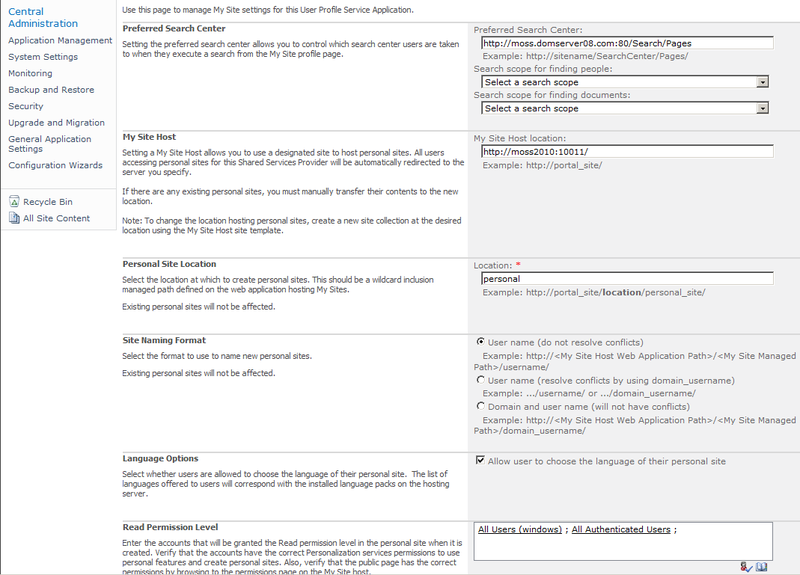 Select the "MySiteHost" template (under the Enterprise tab) and create the site collection. The mysite is only created when the "User Profile Service" is running. So if you have an error, check if your service is started. 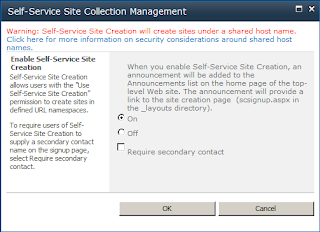 Now you have to activate the "Self-Service Site Creation" so that the site can be created, when the user enters his mysite the first time. Therefore mark the MySite webapplication and click on "Self-Service Site Creation" in the ribbon. The lasts steps are to configure the "User Profile Service" to create the Mysite on the paths and webapplications that we defined. 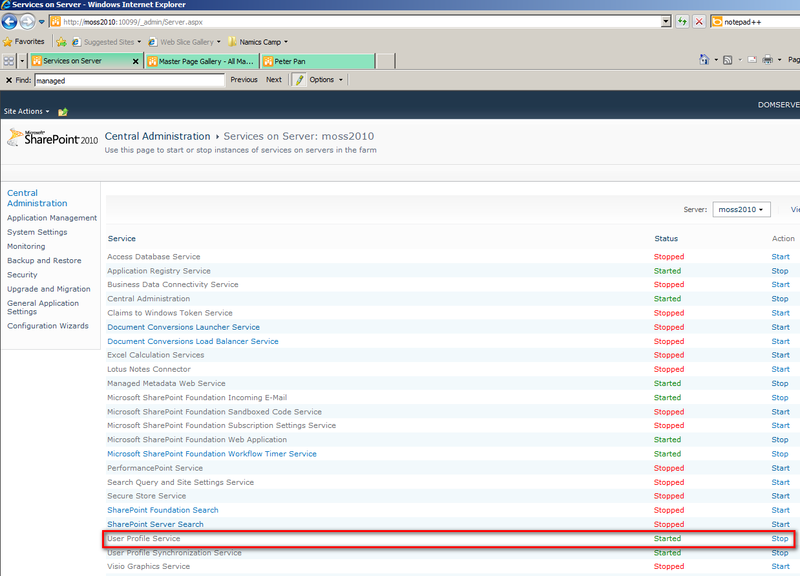 Go to "Central Administration -> Application Management ->Manage Service Applications". 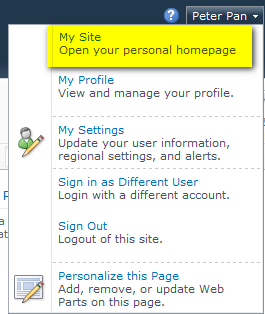 Select or click the "User Profile Service Application" and click "Manage" in the ribbon . 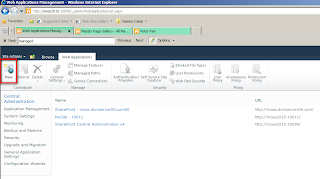 In the administration page click on "Setup My Sites" to open the settings for the mysites. Enter here the "MySite Host Location". This is the full url to the site collection that contains the MySiteHost Site, we created above. Secondary enter the "Personal Site Location". This is the managed path we created on the webapplication that will be used to create the mysites. 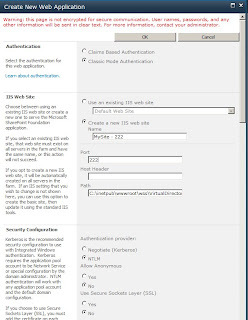 I read in many blogs that the read permission level should only the set to the "Authenticated Users" group. That's it. The "Welcome Menu"should now contain a new menu entry "My Site".